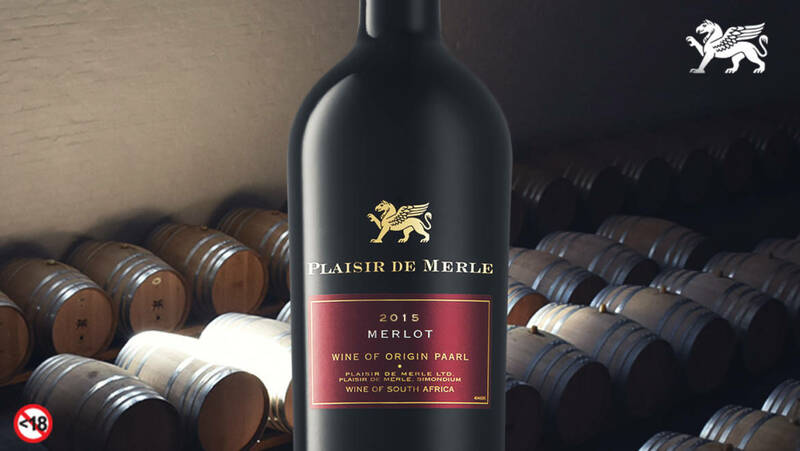 Plaisir de Merle’s 2015 Merlot is one of only eight wines that impressed the judges of the 2018 The Merlot Report hosted by Wine Magazine. The wine scored 90 points out of the 100 point rating scale. There were 67 entries received from 53 producers, with two wines scoring the highest at 92 and 91 respectively and six wines sharing a 90 point rating. With a soft tannin structure and a superior velvety smooth finish, the Plaisir de Merle Merlot 2015 is fragrant on the nose with red berries, floral notes, hints of spice and mint chocolate. Cherries, hints of cloves and mocha blend seamlessly to offer a versatile wine that would pair well with venison, pot roasts and lightly spiced meat dishes. Enjoy now or cellar for a further five to ten years to experience the full potential of this extraordinary wine. In a warm climate such as South Africa, the best location for Merlot vineyards are on cool south and southeast slopes and at Plaisir de Merle the Simonsberg Mountain offers the ideal location. The grapes were sourced from two vineyards situated between 140m and 370m above sea-level on the south-eastern slopes of the mountain. The grapes were picked by hand and the juice was left on the skins for 10 days, matured in 33% new, 38% second-fill and 29% third-fill French oak barrels for periods ranging from 12 to 16 months. The final blend was made after each barrel was tasted and evaluated individually.